Who needs sunshine when you have the brightest dress on you J? 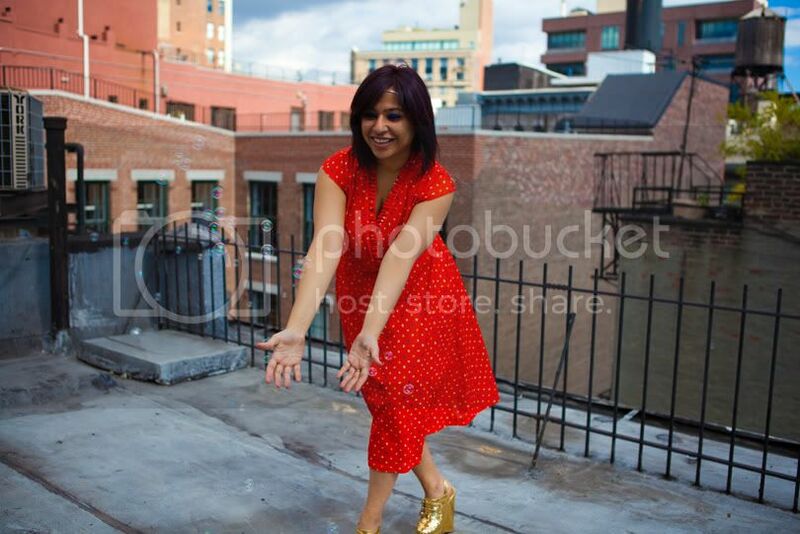 Just having a little fun on my rooftop with bubbles and branches and whatever else we could find there. I love this gold necklace that I sometimes wear as a headband. It’s a simple addition to a dress like this, which you know you can’t overdo. Keeping it simple. Weekend was fun. I got some cool street fashion shots I shall share soon. Played Taboo and Pictionary at a friends place last night which was great!! And am super duper excited to go for a Roger Waters concert this week at Madison Square Garden. Life is good isn’t it? love most of these images, but heavy bias towards the first one! :) it's been ages since I played Taboo...must do that soon! I really like the bubble shots. And the blue eyeshadow. And the gold shoes, which are epic. i love your bright makeup! it's so inspiring! i recently bought a bright orange lipstick because i saw you wearing what looked to me like an orangey red color. you are fabulous! 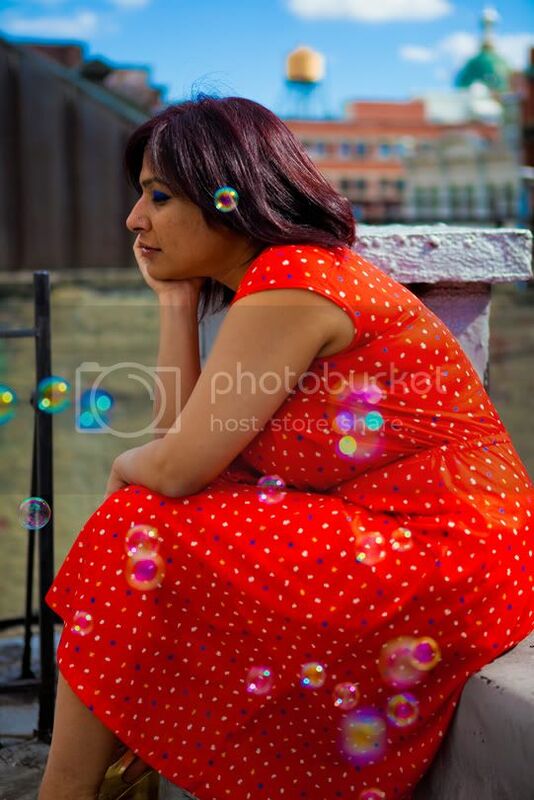 that blue sky is sooo uplifting, love the dress, the bubbles shot is perfectly dreamy. also liking your hair at this length. lovely dress and awesome eye shadow. It's very bold! You look absolutely gorgeous prutha, love everything, the dress, the shoes and the makeup the most :) you're the best! lovely bubbly dress my dear! the 1st image is stunning! 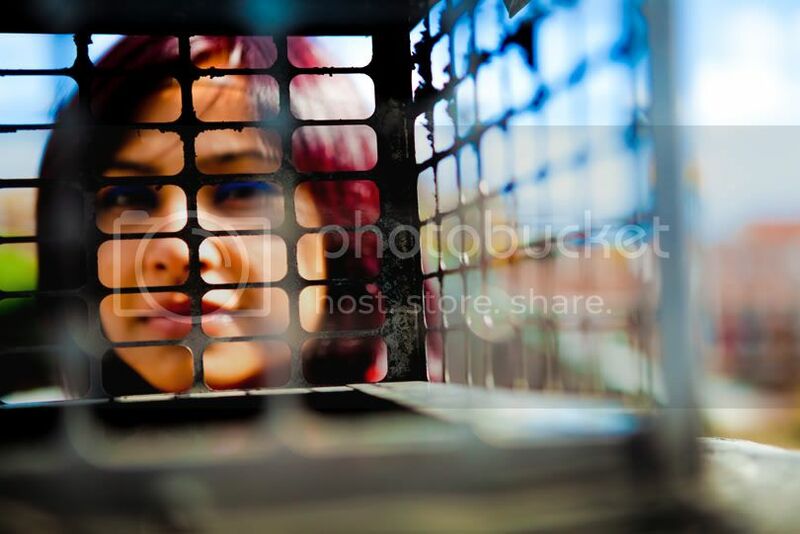 Beautiful - I love that photo of you peaking out. SO cute! Gorgeous, especially the 5th one. Have a good week! Girl.........lovely pics.. Very cute.. very simple girl next door look.. and very very pretty. Love the first one. Its got this element of mystery.. Some of them should be put up around your house! beautiful pictures!that dress looks great on you! im liking the eye shadow..its so retro! !..and the shoes and ofcourse the dress is super vintage!! That red dress looks great and the eyeshadow is so bold and fabulous!! I love the first pics, but all of them are great ! the make up on your eyes is amazing ! Any ways, lets get back to you dear Prutha. You look fabulous with so many primary colors on you! Can't wait to see your next personal fashion post. I so look forward to seeing each one of them. Thank you very much:) Great pictures and make up! I love that little orange number. Its the best.. and liked the rest of them too.. Wish I had even 20% of your fasion sense... sigh! You are soooo pretty!!!! Love that dress!!! And that blue eyeshadow is killa!!!!!! You loook amazing! Love the gold shoes tooo!!! Love how you play with colors! The 1st and 4th pics are really good portraits too. Ei thanks for your comment!!! I m so happy to' follow you!!! Follow me back!!! I just love all the colors! And your eye makeup is fantastic! Have a happy Tuesday and stay warm! youve always got the most fun locations and cutest posts ever! OMG those shoes!! So awesome!! Also, your hair is great. So hard to pull off but you look fantastic. Those Topshop wedges! I love them so but people around me keeps saying it's not pretty. But it def is.. Gosh jealous! You look so beautiful! I love that vibrant dress. WAH! You got those shoes!! I wanted to buy them, there was only one pair left and they were teeny tiny! Major Jel Jel! They're soooo good! That dress is such a vibrant color! And that bold blue shadow...LOVE! That shot with the twig---desert queen! Love the dress. Love your cobalt eyeshadow! am loving the shoes and the cobalt(!!!!) 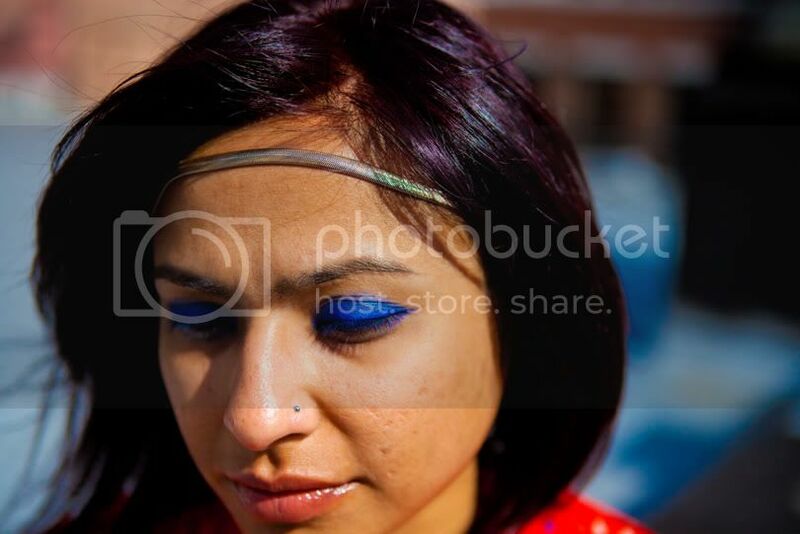 blue eyeliner, totally totally rocks! Iwant that dress :D and first photo is OMG great!!!! Love your eyeshadow color and your shoes! Pictionary is a lot of fun and on outfit related note, your outfit is amazing!!!!!!!!!!!!!!!!! your shoes are the coolest things ever, nothing better than a monster wedge!!!!!!!!!!!!!!! !